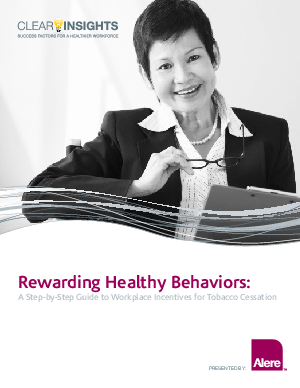 Alere Wellbeing has found that employers successfully increase participation in wellness programs when they reward healthy behaviors throughout the course of the program rather than focusing on the end result. Incentives that are tied to short-term goals such as logging onto a web program or completing a call will help you support activities and behaviors that you want to encourage. Incenting employees to merely enroll in a program will not guarantee longevity; instead, you should reward the small steps your employees are taking to change their behaviors. By implementing an approach that includes a comprehensive program supported by a positive environment, led by a team that anticipates the future, you will find that offering incentives can promote positive behavior change, positively impact your bottom line and improve your employee relations.